The research shows DevOps delivers 18% faster time-to-market and 19% better app quality/performance. 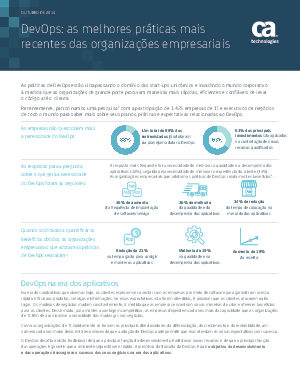 The application economy is motivating leaders to make critical changes across IT and the business, one of the most significant being the adoption of DevOps. For enterprise IT organizations who need to accelerate delivery of apps and provide customers with higher-quality software, faster, DevOps–with its focus on collaboration across IT domains from development to delivery–is increasingly the answer.